← Is an e-Book Calling You? Categories are the landmarks we use to navigate the bibliosphere and find titles we want to buy. But any classification scheme is limited by the ambiguity of language and the challenge of an ever expanding set of subjects and genres. Labels mean different things to different people, and titles often fall into multiple classifications. 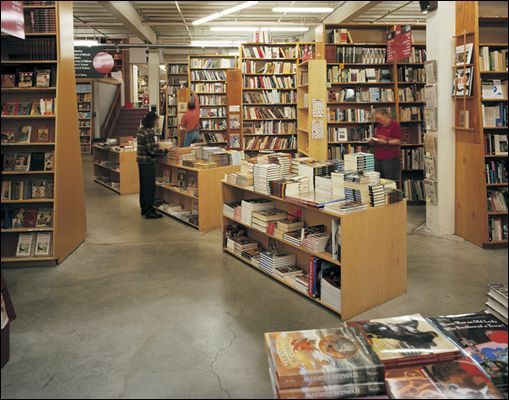 A publisher may classify a book one way, a bookstore may shelve it under an entirely different label, and a potential customer may never see it because they expect the book to be located in another section of the store. Categories are the most familiar ways to find books, but certainly not the only method. Tagging is a way for individuals to apply their own labels to a title and share them with others. Tagging is still new territory for many readers, but has the advantage of being a dynamic, collaborative classification system, a tool for recommendations and a scheme for navigating complex metadata all in one. (See “A social analysis of tagging” – Rashmi Sinha.) An interesting comparison of the tagging strategies of Amazon and LibraryThing is available on Thingology. The article highlights the need for a critical mass of tags in order to observe meaningful patterns that are useful to customers. In a recent post on his blog, Steve Weber compared book finding features on Amazon. While categories were used more often than tags, neither was used nearly as frequently as “Search Inside the Book” or recommendations based on customer purchasing patterns. Part of the reason may be due to Amazon’s emphasis on the latter two methods of book finding vs. tags and categories. The future of book finding may ultimately belong to software that observes how we search for books, tracks what we buy, makes cogent recommendations and shows us excerpts of the best candidates for purchase. With enough metadata available, we may turn the task of book finding over to “smart agents” – software that does the searching for us. This entry was posted in publishing technology, readership strategies. Bookmark the permalink.